Beautyblender vs Real Techniques Miracle Complexion Sponge – I’m a huge fan of bargain hunting and finding that perfect item that you’ve been after but for a fraction of the cost, so I LOVE a good Splurge Vs Save. About 18 months ago I was seeing lots of people raving about the BeautyBlender. At that time my good friend Kate Dix convinced me that I absolutely HAD to get one as it was the best make up sponge/blender (she’s excellent at getting me to spend money!). I picked one up on Amazon for what I think was around £18 with the BB solid cleanser included. I thought it was a bit pricey but seeing the price of the solid cleansers alone now, I think I got a pretty good deal at the time! I was expecting miracles from my BeautyBlender for the price in comparison to my regular makeup sponges! 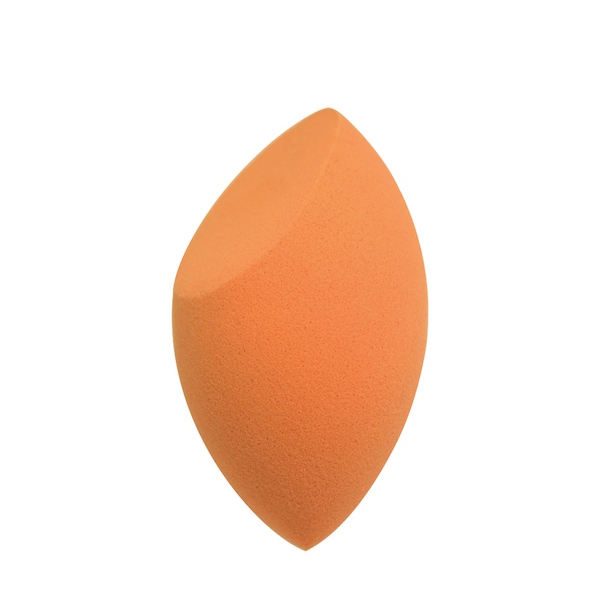 I loved my BeautyBlender from the minute I tried it and it almost revolutionised my makeup application. Roll on 14 months and my BeautyBlender was looking pretty haggard and starting to disinteregrate. Now I’ve cared for this lovingly and “by the book” so I was feeling pretty disappointed it’s shelf life is pretty low compared to makeup brushes etc at a similar price point. I’d recently purchased the Real Techniques Ultimate Gift Set for myself in a black Friday deal at Superdrug and had noticed the Real Techniques Miracle Complexion Sponge. However, at around £5 it seemed a little too good to be true, so I didn’t bother getting one assuming that I already had the best makeup sponge in the form of my BeautyBlender. Fast forward to about 4 weeks ago, and I decided to invest in some more of the Real Techniques brushes as I was loving my Ultimate Gift Set. Whilst browsing online, I decided to pick up the Real Techniques Core Collection, the RT Eye Make Up Starter Set and then decided at the last minute to grab a Real Techniques Miracle Complexion Sponge to give it a go. Well in for the penny, in for the pound I guess! ? I didn’t know what to expect from it but I thought that after a few weeks of daily use it would be a good opportunity for a Splurge vs Save, BeautyBlender Vs Real Techniques Miracle Complexion Sponge. I decided to the best way to do a good Splurge vs Save with the Beautyblender and the RT Sponge was to compare them both for pros and cons across a number of features. At the time of writing this blog I have checked the price and the BeautyBlender is currently retailing on Amazon at £12.86 and the Real Techniques Miracle Complexion Sponge is £4.99. The BeautyBlender Cleanser is retailing at £17.85. That would mean that price wise BeautyBlender vs Real Techniques sponge, the BeautyBlender is over 2.5 times more expensive than the RT Makeup Sponge! That’s a significant difference! Shop away from Amazon and the price with postage can increase the BeautyBlender to being almost 4 times the cost of the the RT Makeup Sponge!! Both the BeautyBlender and Real Techniques Miracle Complexion Sponge are a similar size when both dry and both damp. However, whilst the packaging of the BeautyBlender states to dampen and then squeeze out the excess water with a towel prior to use, the Real Techniques Miracle Complexion Sponge does not state that it should be used damp? I decided to use my initiative (rightly or wrongly) and dampen the RT Makeup Sponge before each use. The BeautyBlender is an accentuated egg shape, which is good for large area blending or blending around the lips and upper eyes. However, it performs poorly around the more awkward areas of the sides of the nostrils, under eye and inner corner of the eye. The Real Techniques Miracle Complexion Sponge is a bit more of a funky shape. 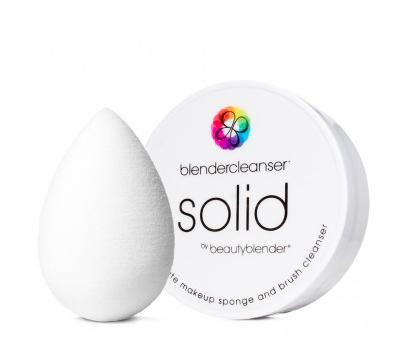 The tapered tip is more pointed than the BeautyBlender and this really helps with getting into those awkward areas round the eyes or covering spots! There’s a section at the large end of the RT Sponge that looks like it’s been sliced off. Whilst it looks a bit strange, the flat side and angled edges are perfect for getting into the creases around the nostrils, getting right under your lower lash line and contouring more angular areas like the nose. This is where the 2 products do differ quite considerably. When you can directly compare the two products at the same time the difference in texture is shockingly obvious. The RT Blender is slightly denser than the BeautyBlender, and therefore, fractionally heavier. 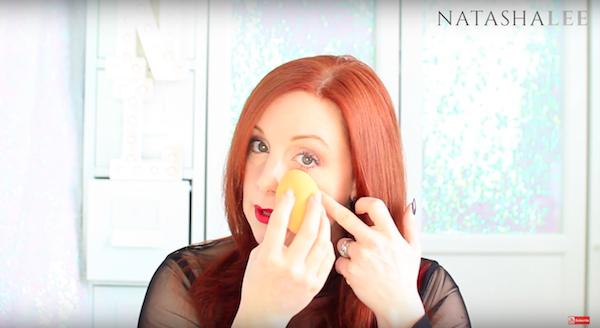 The Real Techniques Makeup Sponge feels like a sort of neoprene/wetsuit fabric. 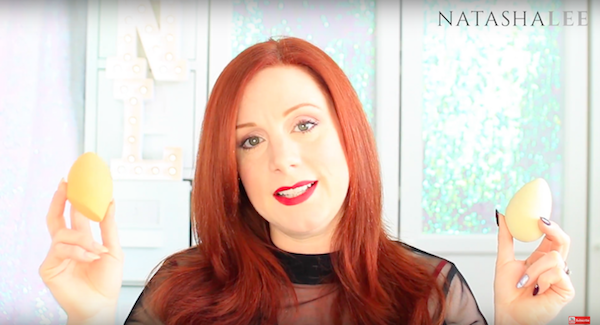 It feels very silky and is very springy with a good amount of resistance when blending on the face. The BeautyBlender in direct comparison is a lot more squishy with less resistance but also feels quite rough compared to the Real Techniques Beauty Sponge. It actually feels like a cheaper quality sponge. Likewise, this also means that you do have to exert a bit more pressure to remove excess water with a towel from the Real Techniques Miracle Complexion Sponge. A simple yet really effective test. I applied my usual Charlotte Tilbury Magic Foundation to both sides of my face and then used the BeautyBlender to blend one half of my face and the Real Techniques Miracle Complexion Sponge to blend the other half. Whilst the two sponges feel differently on your face, the Real Techniques Makeup Sponge wins this hands down. It’s so quick and easy to blend using the RT, that the whole process is effortless. 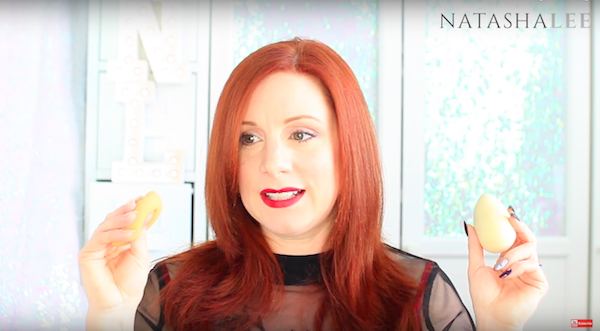 You can achieve an almost identical result (except in those awkward areas around the nose and eyes) with the BeautyBlender but it takes so much longer and with quite a bit more effort. 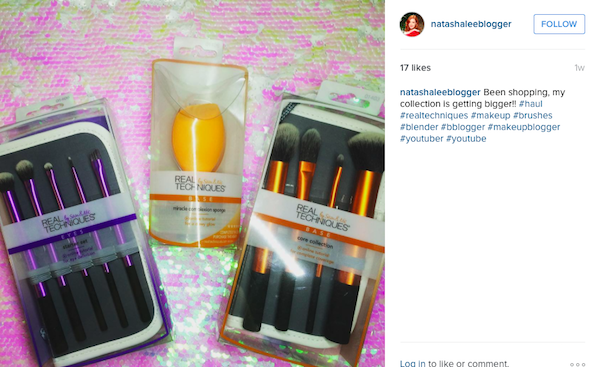 You may have already guessed by now my feelings on which is the best make up sponge between the Real Techniques and the BeautyBlender. Yes, it’s the Real Techniques Miracle Complexion Sponge! I have to admit that despite absolutely adoring my Real Techniques makeup brushes (and I have ALOT of them now) I wasn’t really expecting great things from the RT makeup sponge blender because it was so reasonably priced. It just reminds me that not everything that is expensive is necessarily the best! 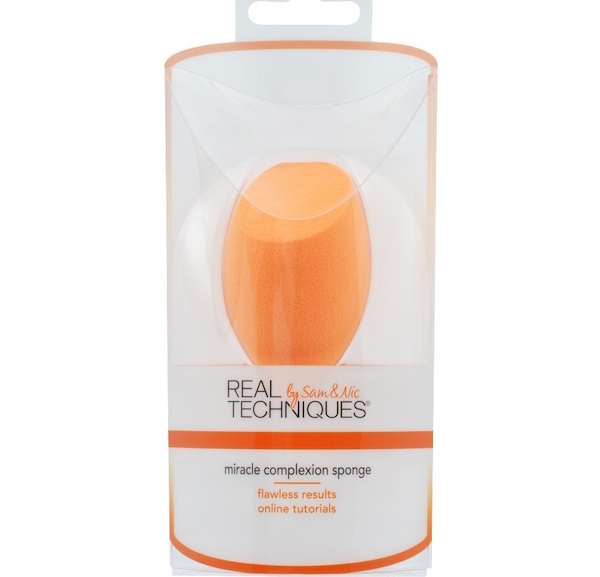 So if you are looking for a Make Up Sponge/Beauty Blender, then you really can’t beat the Real Techniques Miracle Complexion Sponge. 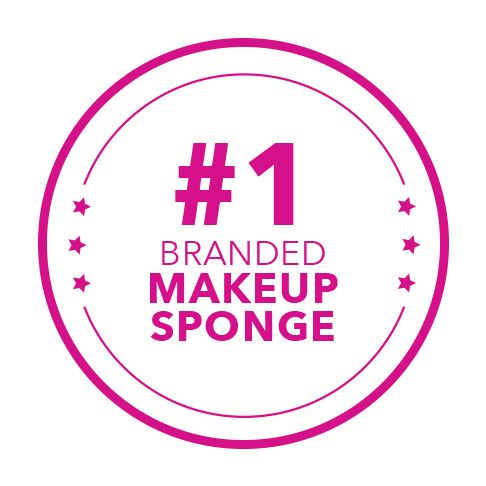 It is the best make up sponge / blender that I’ve ever used, and I have used ALOT! 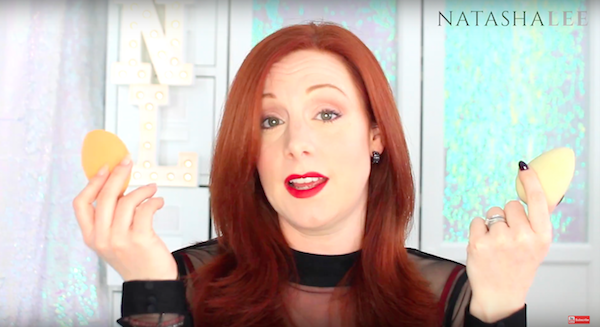 I hope this blog has helped you. 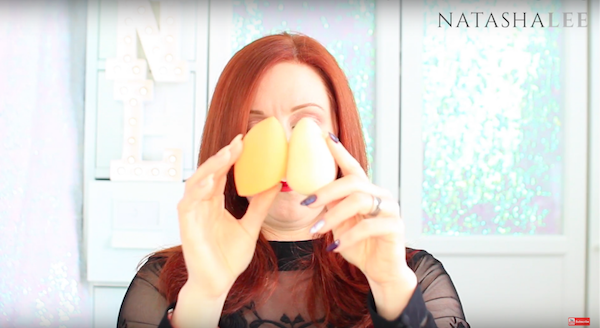 If you want to watch my video on BeautyBlender vs Real Techniques Miracle Beauty Blender, then it’s available at the top of the page or here. Next articleDOTTY HEART NAIL ART | PASTEL | COLOURBLIND TEST!